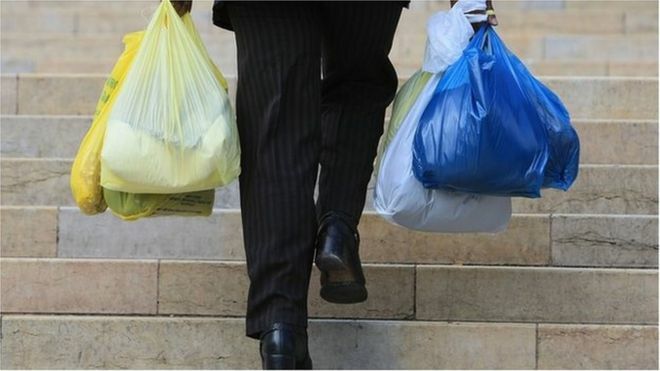 The number of single-use carrier bags handed out by shops in Wales has fallen by 71% since charges were introduced in 2011, according to a report. BBC News 4 September 2015: The review, for Welsh ministers, estimates between £17m and £22m raised by the 5p charge has been donated to good causes by retailers. Natural Resources Minister Carl Sargeant said the levy had produced a significant shift in consumer habits. 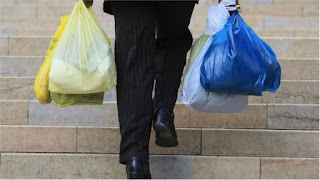 Carrier bag charges begin in...more.